Headaches Do NOT Have to Be Part of Your Normal Life! Headaches are most often a sign that something is not right in your body. There are many types of headaches and many things can cause headaches such as: stress, hormones, certain foods, preservatives, alcohol, and toxic fumes, just to name a few. A frequent and overlooked cause of headaches is the malfunction of spinal bones in the neck and upper back…bones being out of alignment. This can affect the nerves and blood vessels to the head. When nerves and surrounding tissues are stretched or irritated because of misalignment, they can produce painful headaches. Medications may cover up the pain, but do not correct the underlying structural cause. Many people find relief and correction with chiropractic care. The Institute of Chiropractic and Acupuncture Therapy has helped many people get drug-free results, drastically reducing or totally eliminating patient’s headaches! 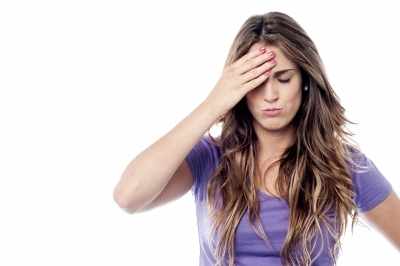 Some estimates suggest that 25% of the population has a headache right now…are you one of them? For more information on how chiropractic, acupuncture, and other modalities can help your headaches, please see our What We Do page at SuperDocDC.com. Dr. Trent Burrup is a chiropractor and graduate of Palmer College of Chiropractic. 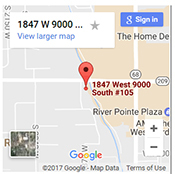 He provides chiropractic care in Salt Lake City and surrounding areas including West Jordan, South Jordan, Sandy, Draper, Taylorsville, Murray, Riverton, Herriman, Bluffdale, Cottonwood Heights, Holiday, Millcreek, West Valley City, and South Salt Lake. We also provide service to patients that come from the Utah County area and as far north as Logan, and even some from out of state…come experience the difference at The Institute! Category: Uncategorized | Comments Off on Headaches Do NOT Have to Be Part of Your Normal Life! Ever been nervous about acupuncture? Witness an Acupuncture Treatment by Dr. Burrup and see how small the needles are. Low Back Pain…..Affecting Your Daily Life? Low Back Pain results in millions of dollars of lost work and untold suffering every day. Many factors can be responsible for Low Pack Pain. Improper sitting or lifting, over-exertion, sleeping on a mattress too firm or too soft, stress, trauma, or even inherited spinal abnormalities can be the cause. Many research studies have shown that chiropractic care is safer and often more effective than back surgery. The simplicity and success of chiropractic adjustments has helped many patients avoid risky surgery….no drugs, nothing invasive, just pain relief. Category: Uncategorized | Comments Off on Low Back Pain…..Affecting Your Daily Life? Even a minor auto accident can lead to chronic pain and health problems. If you, a friend, or a loved one has been involved in an automobile accident, here’s what you should know about your health. Pain is a protective mechanism that indicates an underlying injury or trauma to the tissue. Pain-killers only mask the sensation of pain without correcting the underlying cause. Auto injuries limit mobility and physical independence due to pain. A delay in identifying the actual cause of pain can increase the risk of inflammation, disc degeneration, muscle atrophy and other complications. Consequently, this delays healing and also leads to stiffness, limited range of motion, and other related issues with mobility. A chiropractor can address and treat these problems. Dr. Trent Burrup is a specialist in the use of homeopathic remedies to treat a wide variety of conditions such as allergies, hormone imbalances, digestive problems, chronic fatigue syndrome, fibromyalgia, depression, anxiety, colds and flus, etc. 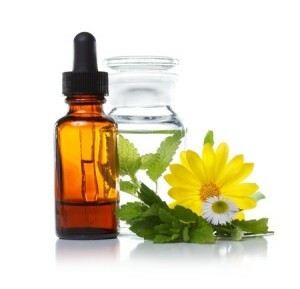 Homeopathy activates the body’s self-healing processes in both the physical and mental/emotional areas. The range of problems in which homeopathic remedies can be used is extensive and includes first aid, acute illnesses, and all manner of chronic conditions. Do You Really Need to See a Chiropractor? The Institute of Chiropractic & Acupuncture Therapy provides care in Salt Lake City and surrounding areas including West Jordan, South Jordan, Sandy, Draper, Taylorsville, Murray, Riverton, Herriman, Bluffdale, Cottonwood Heights, Holiday, Millcreek, West Valley City, and South Salt Lake. We also provide service to patients that come from the Utah County area and as far north as Logan, and even some from out of state…come experience the difference at The Institute! Category: Uncategorized | Comments Off on Do You Really Need to See a Chiropractor?